What is a retractable shower chair? It is a shower chair that allows you to fold up when it is not in use. Some chairs can be stored away. 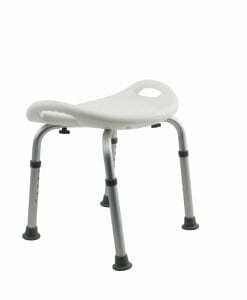 The tractable shower chair can be referred to as the fold up, fold down, or wall mounted chair. When you are struggling with limited space in the bathroom or shower area, the retractable shower chair is the best choice to use. It does not take a lot of space when it is folded. There are two kinds of retractable shower chair. The first type is a chair that is attached to the wall with a frame. 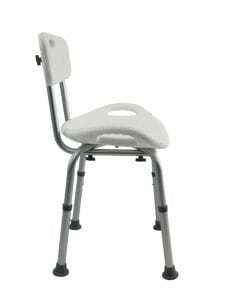 The frame is sometimes adjustable depending on the chair feature. This allows you to adjust to different heights to accommodate your need. 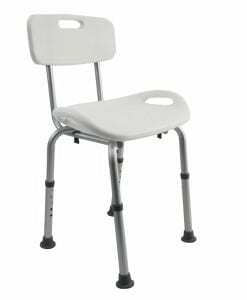 This type of retractable shower chair needs to be fixed onto a wall so it can take the weight of an adult when the chair is attached. Certain types of wall need to be use when mounting the chair. The wall needs to be able to hold up the weight of the chair and the individual. A plasterboard wall on a timber frame will not be a suitable place to place a chair because it is not strong enough. 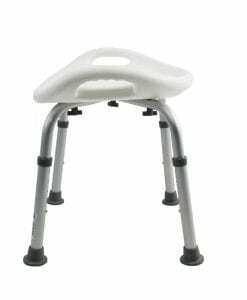 The second type is a portable shower chair that comes with four legs to support the weight of the body. They are also usually lightweight. You can carry it, move it around, and store it away. This type of chair does not require any wall fixing. It is more convenient and portable to use because it is not mounted onto the wall. The retractable shower chair is the best solution when it comes to small bathroom space or shower areas. There are 2 types of retractable shower chair to choose from to accommodate your needs.